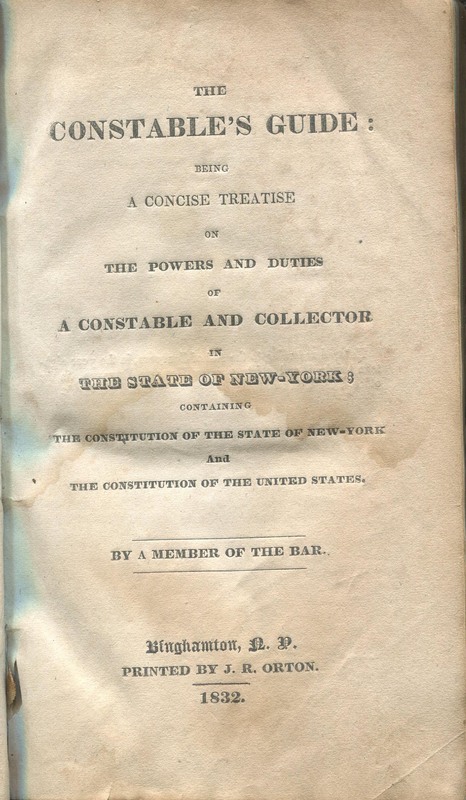 The constable’s guide: being a concise treatise on the powers and duties of a constable and collector in the state of New York, by Horace Dresser. (Binghamton, NY: printed by J. Orton, 1832). Comments Off on Bought at auction! You are currently browsing the The Bibliophile's Lair blog archives for June, 2011.